She managed this at a time of great turmoil in Nepal with a quarrel over a constitutional change resulting in strikes and oil shortages. This made travel very difficult and expensive – not good news for a charity that runs on a shoe string such as ours. We have already reported, in an earlier mail shot, on what we have done to assist stricken communities in picking themselves up after the earthquakes in April. The total raised, with your generous donations, was £6000. 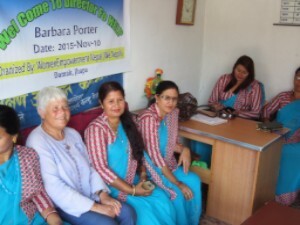 The final tranche of £3000 was handed over to Paul Vande Moortel of Himalayan Projects by Barbara this November. Paul’s plans for using the final £3000 are set out in our blog. 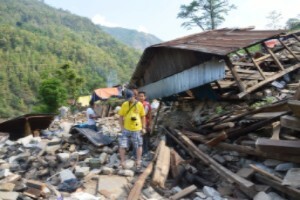 Small NGOs like HELP and Himalayan Projects can act effectively and fast. Our donors can be assured that their money is being put to good use right now. Money sent to the Nepalese Government, on the other hand, still languishes unspent. The WEC is a local charity that provides legal aid to abused women to help bring their abusers to trial, and offers them a place on their sewing training programme to enable them to support themselves and their dependents. Drunk men. Cheap liquor is readily available. HELP provided a grant last year for the purchase of sewing machines, and we are, with the help of our supporters, sponsoring some of the victim’s children through college and school. We are looking at other ways of helping this community, including supplying volunteers, and raising money to help them to move into larger premises. To do this, of course, we need your donations dear reader! 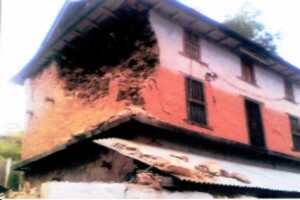 Rock falls are a constant menace in Sikkim, particularly in the monsoon. The earthquakes added to these concerns this year. 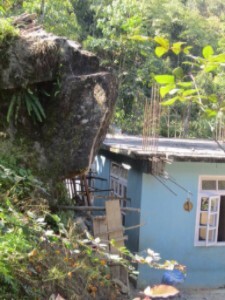 Thanks to very generous donations from CfBT and the Abrahams family, we were able to send £1975 to this school so that a huge rock immediately behind it could be shored up. I dread to think what would happen if did fall. This year we sent the school £745 for a boundary wall to protect the children from falling down the hill, and railings for the staircase. 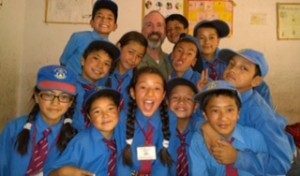 Liam Campbell from Canada, a past volunteer at this school, is trying to raise funds for two badly needed new classrooms.He has set up a Facebook page and a gofundme account and invites you to have a look at them. He still has a long way to go, so would obviously appreciate any support you can give him. Two of the orphaned girls at this orphanage are being sponsored under our programme, We also sent £600 last November for school uniforms and equipment. The Serve and Share Association lost a major sponsor this year, so HELP has stepped in with £1800 to fund the salary of a local teacher for one year to give them time to find another source of funds. This year has seen a drop in the number of applications to volunteer with HELP which is disappointing. Only 6 volunteers were placed in schools in 2015. As this newsletter goes out, three of them are still in post. Each of the volunteers this year were experienced teachers. Barbara was pleased to hear how much our volunteers are appreciated. Each volunteer of course makes their own unique contribution, whether it be in teacher training sessions with the staff after school hours, taking students on small excursions, teaching staff and students alike new songs and games and activities, brightening up the often depressing school environments with student pictures and craft work. Barbara noticed better English and much more confidence in using it at the schools she visited that had had regular HELP volunteers. Another feature this year was sending volunteers to schools new to HELP. 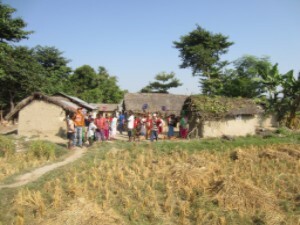 Two teachers are currently in a school in Chinnebas south of Pokhara in Nepal. 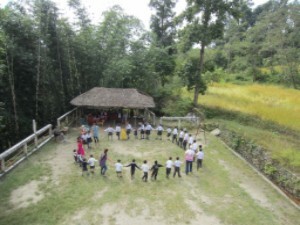 This school, right off the beaten track, is a challenging and remote place to be, but the two volunteers there now are enjoying working with the students and teachers there. 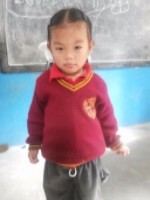 Another school new to HELP, is Little Angels in Mungphoo near Kalimpong. A small, very under resourced school, the volunteer currently there is providing daily sessions to the inexperienced staff there in addition to working with the school’s students. Applications for placement in 2016 are now arriving, and we hope we will get more than this year. Barbara was able to fit in three teacher training sessions for the local teachers at St. Paul’s, a school we have been supporting since our foundation. Teachers at these schools have heavy domestic commitments and so have little time or inclination to prepare lessons or go beyond the textbooks. The main focus of these sessions has to be on using the textbooks in a way that createsmore interesting lessons. Currently, there are 43 sponsors supporting 48 children. Their subscriptions totaled £7905. Our sponsored “children” range from a 5-year old in kindergarten to post-graduate students, with the majority in primary/secondary school. One of our post-graduate students, Kritika Nair has been sponsored by Rebecca Scott through her college studies, and recently gained admission to the NDTV Media Institute for her Post Graduate Diploma in Broadcast Journalism. NDTV is one of the leading news channels in India. Rebecca’s parents, Anne and Joe Tallantire have joined Rebecca to help Kritika cover the costs of this Diploma. Kritika says this: “I wouldn’t have made it today without HELP and Bec’s support”. Occasionally a sponsored child faces a crisis that prompts their sponsor to go beyond their original commitment. 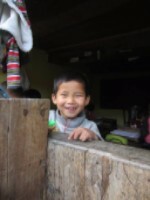 One fortunate child received a one-off payment of £550 to cover her medical expenses this year. Many thanks to all our sponsors for committing themselves for so many years for very little in return. The children are scattered all over the place, and so it is no easy task to track them down (especially after earthquakes! 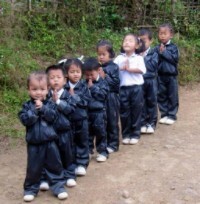 ), get them to write letters (an impossible task in a few cases), and disburse the sponsorship money. My special thanks to our unsung heroes, our HELP Representatives: Norong Namchyo, Ghana Koirala, Senir Nair, Rabin Acharya, and Jayanti Bai Lama for the difficult task of running the sponsorship programme on the ground. We received a total of £6000 in response to our earthquake appeal, of which £2591 was donated by fifteen generous individual supporters. On top of this, £1741 was donated by St Anne’s School in Madrid, £155 by Highfields School in England (an old and valued supporter of HELP). The town of Callander in Scotland excelled itself. The Callander Kirk Congregation raised £1167, the Callander Primary School sent us £104, and the McLaren High School donated £343. 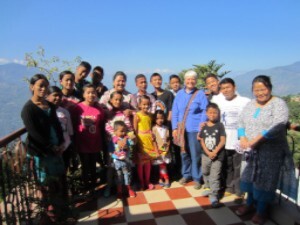 These institutional donations were prompted respectively by an ex-volunteer Charlotte Cotton, Anne McGivern (the mother of an ex-volunteer and a good friend of HELP), and a HELP director, Dakem Tenzing-Jenkins. We are very dependent on our network of friends and volunteers for the funds we receive, so a special word of thanks to them. The taxman has sent us £1238 under the Inland Revenue’s Gift Aid scheme! Gift Aid is an invaluable boost to our income, but we do need your permission to apply for it, even if we know you are a UK-based tax payer! So far she has raised £353. Why not help her reach her target of £1000? Here’s where to start. It is run by Yahoo, and I find it works well as search engine (I hardly ever need to use Google). Between us we have raised £176.58 simply by clicking, but we could do so much better if more of you got clicking!